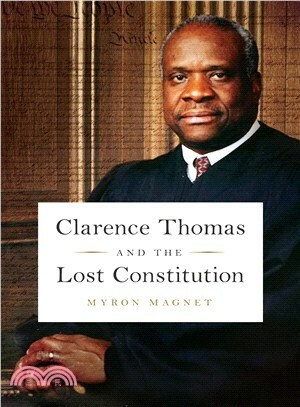 When Clarence Thomas joined the Supreme Court in 1991, he found with dismay that it was interpreting a very different Constitution from the one the Framers had written—the one that had established a federal government manned by the people’s own elected representatives, charged with protecting citizens’ inborn rights while leaving them free to work out their individual happiness themselves, in their families, communities, and states. He found that his predecessors on the Court were complicit in the first step of this transformation, when in the 1870s they defanged the Civil War Amendments intended to give full citizenship to his fellow black Americans. In the next generation, Woodrow Wilson, dismissing the Framers and their work as obsolete, set out to replace laws made by the people’s representatives with rules made by highly educated, modern, supposedly non-partisan “experts,” an idea that Franklin Roosevelt supersized in the New Deal agencies that he acknowledged had no constitutional warrant. And then, under Chief Justice Earl Warren in the 1950s and ‘60s, the Nine set about making real Wilson’s dream of a Supreme Court sitting as a permanent constitutional convention, conjuring up laws out of smoke and mirrors, and justifying them as expressions of the spirit of the age. But Thomas, who joined the Court after eight years running one of the myriad administrative agencies that the Great Society had piled on top of FDR’s batch, had deep misgivings about the new governmental order. He shared the Framers’ vision of free, self-governing citizens forging their own fate. And from his own experience growing up in segregated Savannah, flirting with and rejecting black radicalism at college, and running an agency that supposedly advanced equality, he doubted that unelected experts and Justices really did understand the moral arc of the universe better than the people themselves, or that the rules and rulings they issued made lives better rather than worse. So in the hundreds of opinions he has written in more than a quarter century on the Court—the most important of them explained in these pages in clear, non-lawyerly language—he has questioned the constitutional underpinnings of the new order and has tried to restore the limited, self-governing original one, as more legitimate, more just, and more free than the one that grew up in its stead. The Court now seems set to move down the trail he blazed. A free, self-governing nation needs independent-minded, self-reliant citizens, and Thomas’s biography, vividly recounted here, produced just the kind of character that the Founders assumed would always mark Americans. It remains to be seen how many more of this stamp today’s and tomorrow’s American culture and institutions can form. Myron Magnet, author of The Founders at Home: The Building of America, 1735-1817, was the editor of City Journal and is now its editor-at-large. He was awarded the National Humanities Medal in 2008.